Calling for fresh ideas that will shout: “fresh and delicious bread sold here, people”! 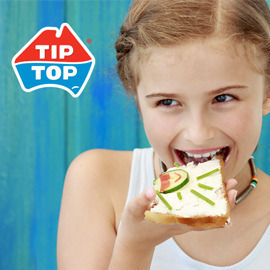 Tip Top is an amazing Australian bread brand and they’ve decided they’re going to bring some food appeal to the dull looking bread category. We need your help! Use your talent and imagination to redefine the way we present that prime piece of dough. Blow us away with clever and creative package designs that will make shoppers believe that packaged bread in the supermarket is fresh and delicious. Send us your beautiful designs before July 28, 2014 23:59 UTC! Good luck!